Beer made from stale bread … now, doesn’t that sound refreshing? Charitable group Second Harvest recently brewed 500 cases of the stuff to raise funds and call attention to its food-rescue efforts throughout Canada. 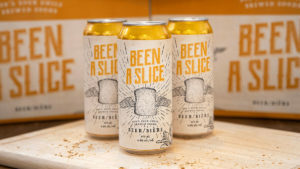 Retailing for $2.95, the beer, called Been a Slice, will be sold in select stores, bars and restaurants around Toronto. Proceeds will benefit Second Harvest, which has rescued 130 million pounds of edible food—mainly dairy, produce and protein headed for landfills—since it launched in 1985. The group works with Ontario farmers and retailers to provide nourishing meals to more than 250 agencies throughout the province. 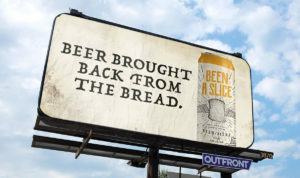 Hey, beer already has yeast in it, so the Been a Slice concept seems slightly less nutty than Planters’ recent frothy foray. Toronto’s Prairie Boy Bakery supplied 200 pounds of bread for the project, while Common Good Beer Co. handled brewing chores. 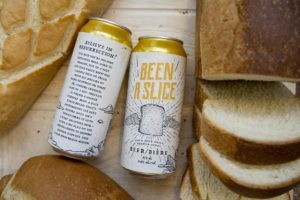 Been a Slice uses only five ingredients: water, barley malt, bread, hops and yeast. Outfront Media is supporting the limited-time brew with billboards around Toronto. If folks savour the flavour, they can help an upcoming Kickstarter campaign to bring the beer back on a more permanent basis.